I am really proud to announce that I have officially been endorsed by the Lebanese Ministry of Youth and Sports as an athlete and will represent Lebanon in my upcoming competition with the WBFF in Denmark. A couple of days ago I had the pleasure of meeting with the Lebanese minister of Youth and Sports, Mr. Abd Motaleb Hennawi and the Director of Sports, Mr. Mohammad Ouidat. They were incredibly nice, friendly and polite. I feel incredibly privileged as I know it is not very common for athletes to receive an endorsement from the minister personally. These types of competitions do not exist in Lebanon and my goal is to raise awareness and inspire others to live healthier lifestyles. I want to prove that anyone can turn their life around and become healthier, happier and fitter through the right nutrition and exercise. I believe competing with the WBFF is going to be a great experience, regardless of the outcome. I have heard how spectacular their shows are and I am just excited to be a part of it. 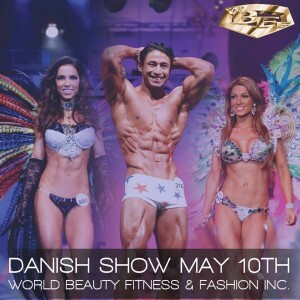 It is also a chance to network and meet top fitness models and athletes from all over the world. Below is the group photo taken when I met with the minister. I was wearing gym clothes because it was leg day and I was heading to the gym right after!